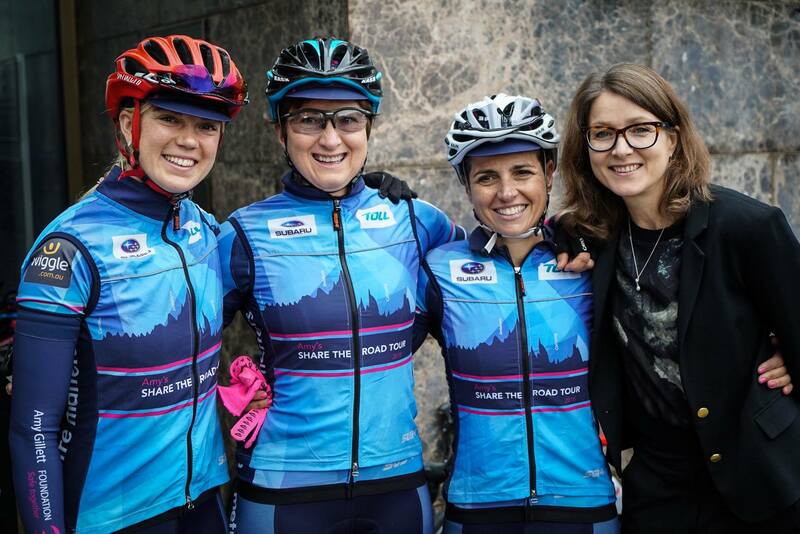 As 2016 rapidly draws to a close, it’s a great time to reflect on the year that’s been and to thank all our partners and supporters for their contribution in helping us achieve our mission for a safer cycling environment in Australia. We are delighted with progress on achieving uniform a metre matters laws across the country – this year New South Wales commenced a two-year trial in March, Queensland made their laws permanent following a successful two-year trial in April, in May a Federal Senate Committee recommended that the Model Road Rules mandate minimum overtaking distance laws, in September the Victorian Parliamentary Inquiry recommended Victoria adopt a metre matters law, and just last month Tasmania announced a metre matters laws will be implemented early in the new year. Our a metre matters campaign was awarded the 2016 Australian Cycling Luminary Award for bicycling culture and behaviour change, presented at the Australian Bicycle Summit in Canberra. ad Safety, the Hon Luke Donnellan MP on the steps of Parliament, and presented him with community attitudes research which demonstrates overwhelming support for a metre matters laws in Victoria – 9 out of 10 Victorians support implementation of such laws. Thank you to everyone who joined us at Parliament in a tremendous show of support – the sea of pink and the a metre matters branded Toll truck made an invaluable impact. We are continuing to pursue minimum passing distance laws in Victoria, Western Australia and the Northern Territory. This year we have also seen the ACT Government make changes to its driver licensing process to require all learner drivers to pass a competency test focused on how to drive safely around vulnerable road users – pedestrians, cyclists and motorcyclists. This followed from research conducted by Dr Marilyn Johnson from the AGF and Monash University and Dr Jennifer Bonham from the University of Adelaide, funded by the NRMA-ACT Road Safety Trust. This is a very welcome development in safety for cyclists, and we are pursuing similar changes across the country. We are focused on the potential that new technology can play in achieving a safer cycling environment, and continue to ensure that cycling safety has a voice at the table. We are working with law enforcement and road safety agencies on education and enforcement measures for minimum passing distance laws, and are looking forward to seeing what comes out of the Queensland Government’s tender into minimum overtaking distance enforcement technology. We were delighted by the recognition of Mary Safe’s tireless advocacy efforts, in being a finalist for the South Australian Senior Australian of the Year Awards. 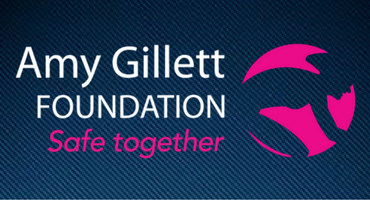 Mary and Denis have been driving forces behind the Foundation over the past ten years and have been instrumental in the success we have achieved to date. Thank you for your on-going support over the past year. 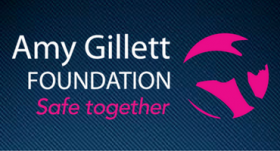 The Amy Gillett Foundation could not have reached all these milestones without you. As our first decade draws to a close, there is much to be proud of, but still much to be done. I encourage you to follow us on Facebook, Instagram and Twitter to continue our conversation. Safe cycling over the holiday period and best wishes for 2017.